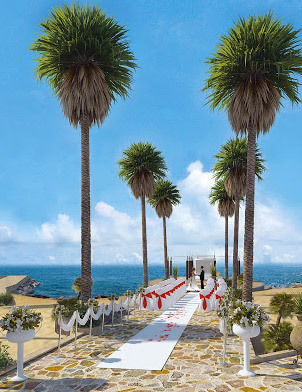 European weddings are popular with couples who want to have a wedding abroad. Not only are there some amazing wedding locations but it's also easy and relatively cost effective for guests to get to. Not all wedding locations in Europe however make it easy from a legal point of view for British couples to marry, so in this case we offer Symbolic Weddings or Commitment Ceremonies instead. Some of these locations are featured in our Rest of Europe Wedding Collection.